Herbs of Gold Astra Restore has been specifically formulated with four tonic herbs, traditionally used in China and Asia to strengthen and restore Qi, the body's vital energy, to combat fatigue and restore strength. Astragalus is used in TCM to enhance the immune system; to relieve cold and flu symptoms, increase and restore vitality in cases of frequent or recurrent colds. 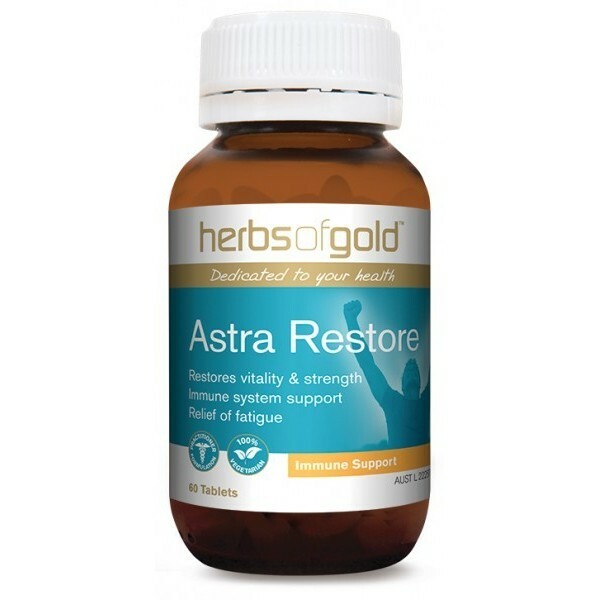 Astra Restore contains Astragalus and Goji berry, traditional herbs used in Chinese medicine for the relief of 'fatigue syndrome'.